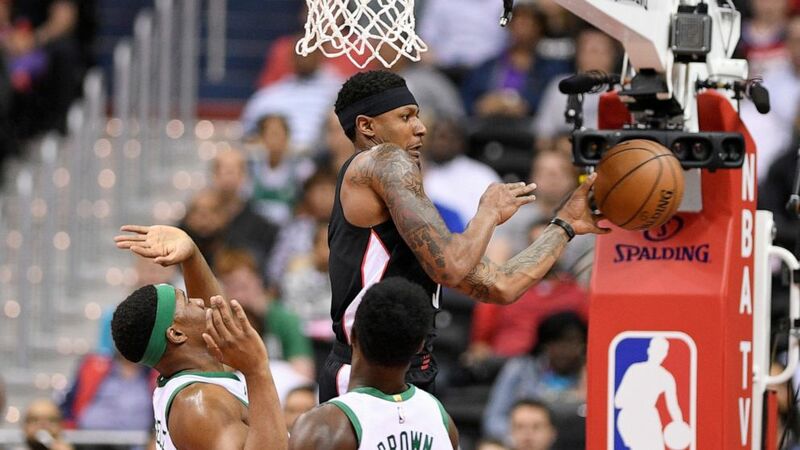 Bradley Beal became the first player in Washington Wizards franchise history to average at least 25 points, five rebounds and five assists for a season, reaching the numbers he needed in a 116-110 loss to the playoff-bound Boston Celtics in a finale Tuesday night that was meaningless to both clubs. Celtics: Rozier scored 21 points. … Signed G Jonathan Gibson. He played four games for Boston last season. “He gets buckets,” coach Brad Stevens said. Wizards: Tomas Satoransky scored 19 points. … Signed Gs Jordan McRae and Tarik Phillip. McRae was on a two-way contract this season, when he averaged 5.9 points, 1.5 rebounds and 1.1 assists in 27 games for the Wizards and led the NBA G League in scoring at 30.4 ppg for the Capital City Go-Go. Phillip played for the Memphis Hustle in the G League.